Where to stay | Lara & Jason Tie the Knot! For the wedding weekend, we’ve reserved the 22 cabanas at Playa Azul Tulum, where we will be holding the wedding ceremony and reception, from Feb 6-10, four nights. We will have the run of the place for the full 5 days, 4 nights. Access codes for booking your hotel room are now available. If you have not yet booked your room, please contact us, and we’ll tell you what rooms are still available. 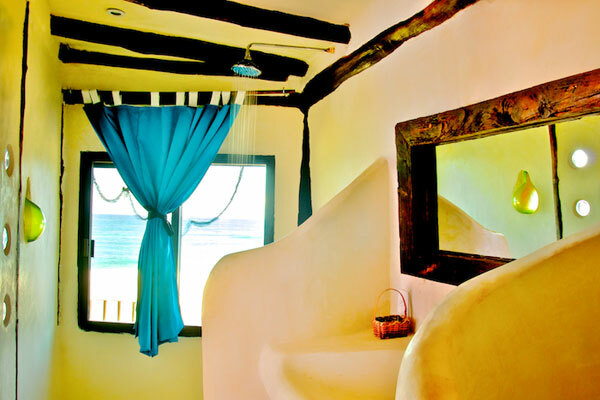 Then check out Playa Azul’s website, tell us which room you prefer, and we’ll give you booking instructions. Playa Azul is surrounded by palm trees and white sand dunes, and is minutes away from the archaeological ruins of Tulum and the natural reserve of Sian Ka’an (Mayan for “origin of the sky”), where a day of exploring could lead you to encounter toucans, spider monkeys and more. For those interested in water sports, the second longest coral reef in the world is just outside your doorstep. 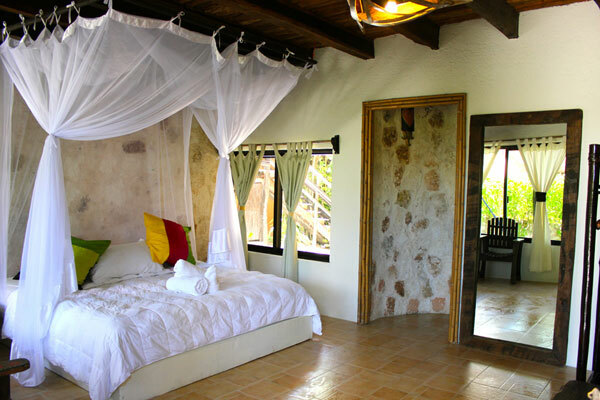 Each room has its own private bathroom, open terrace and hammock. For relaxation, there is a massage center on site, where you can arrange for massages in your room, on the beach or at the spa. To see what others say about Playa Azul, check them out on Trip Advisor. 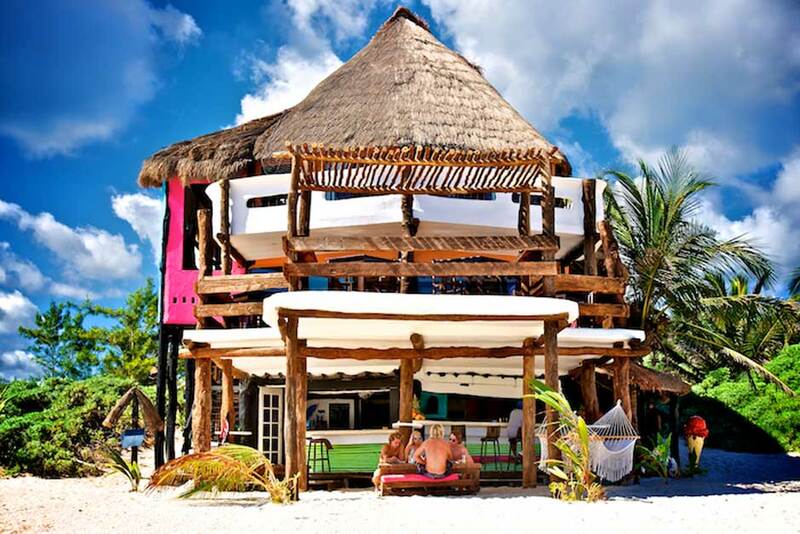 Tulum is known for its beachside boutique hotels, often in open air. It wasn’t long ago this area was relatively undiscovered, and the accommodation geared toward the backpacker market, in the form of hammocks under palapa roofs in the outdoors. It’s come a long way since then, but even as Tulum has grown up, it has held on to its minimalist eco-resort identity. In contrast to the hedonistic, party atmosphere that characterizes Cancun, and the crowds of Playa del Carmen, Tulum’s industry has worked hard to preserve the area’s natural beauty and relaxing atmosphere, while avoiding the ecological problems experienced by its neighbors to the north. Most of the hotels in the area generate all of their own electricity, and fresh water is fed from the cenotes in the area. Conservation is of utmost importance, and that investment in the natural environment is reflected in the hotel experience.